Optus is seeking Federal Court orders that would force Telstra to withdraw advertisements that use the term “unlimited”, with Australia’s second-largest telco arguing that the ads have the potential to mislead consumers. 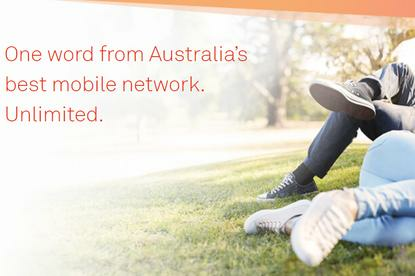 The Telstra advertising campaign that launched in early May uses the slogan: “One word from Australia's best mobile network. Unlimited.” In addition to online ads, the national campaign has incorporated billboard advertising. The ads describe Telstra’s network with “one word – ‘unlimited’,” Richard Lancaster SC, appearing for Optus this morning, said. “Unlimited is an ordinary English word has a clear ordinary English meaning - there are no limits,” he added. The ad campaign launched concurrently with Telstra’s $69/month “unlimited” data plan. The plan includes a quota of 40GB of full-speed data, following which download speeds are capped at 1.5Mbps. “Unlimited is a powerful word,” that speaks directly to concerns of modern consumers, he said. A consumer it is entitled to think the word applies to those relevant features of the mobile network they’re interested in acquiring – reach, data speed, quota, and availability across devices, he told the court. “To me the word unlimited means limitless,” presiding judge Justice Gleeson said. The presiding judge that she had two initial reactions to the term. The first was that it was a reference to “the absence of blackspots." Optus is reading “so much into so little,” counsel for Telstra Anthony Mcgrath said. “Unlimited” is a prompt for a consumer to find out more from Telstra, leaving an individual wondering “What is unlimited?” – not a reference to any particular product or particular service. Optus’ argument would mean that every single feature of every single product would have to be unlimited, Mcgrath argued. “It’s an unreasonable and strained interpretation to use the word ‘from’ and turn it into an ‘about’,” he said. Telstra offers services, including the new mobile plan, that do have unlimited features he argued. The Sydney hearing included cross-examinations of evidence given by Optus retail and channel vice president Maurice McCarthy and Telstra’s Jeremy Nicholas, executive director for brand consumer and small business marking. Mcgrath took McCarthy to the features of Optus’ mobile and fixed-line services that are advertised as unlimited. Optus offers broadband services described as unlimited, McCarthy acknowledged – but noted that they included no data limits. Mcgrath put to McCarthy that there were certain restrictions on Optus’ unlimited broadband services such as their geographic availability and, when it comes to NBN plans, the speed tier that a consumer pays for. McCarthy said that the available speed tiers were “not limitations but options”. “Speeds are qualified; data is unlimited,” he said. Nicholas agreed with Lancaster that throttling of speeds were a limit on the “endless data” plan. The marketer said that Telstra offered plans with more full-speed data than the endless data plan, but those plans require additional payment for excess data consumption, instead of being speed limited after the data quota is exceeded. Nicholas said he was aware of the provisions of the Telecommunications Consumer Protection code, which states that telcos must not “use the term ‘unlimited’ or an equivalent term in an unqualified manner when referring to usage, unless the ordinary use of the service in Australia is genuinely unlimited and not subject to exclusions, including exclusions for various types of calls or usage, or selected parts of the network”. The use of the term unlimited by Telstra in its advertising could refer to usage of its mobile network but “may refer to other things also,” he said. Justice Gleeson reserved her decision. A ruling is expected to be handed down on 23 May. Earlier this month Vodafone also launched a number of “unlimited” data plans that have their speeds throttled after hitting a data cap of between 30GB and 100GB. Telstra and Optus are also engaged in a Victorian Supreme Court battle over the latter’s advertising which claims it offers the best Australian mobile network.